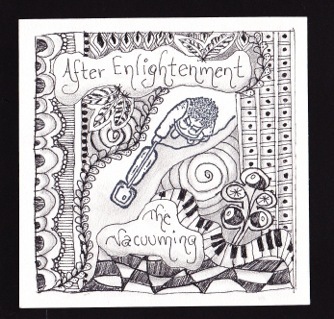 I LOVE your Zentangle books… they are the best! And I think it's because your personality shines thru… My biggest favorite is the Totally Tangled book. Anyhow, the reason I'm writing is because I purchased your e-book several months ago. I used it on my iPad for a short while and couldn't get back to tangling until yesterday. (Oh how I've missed it!) Well now I can't find it. ... Can you help me out? I'm glad you love Totally Tangled - I'm about to start work on a revised edition.. and Yoga for Your Brain as well... so if there is anything you'd like to see added or explained better, or...? Oh - And welcome back to tangling! Thank you, thank you, and thank you!! I'm happy again! This time I was able to print it out so I won't lose it again! I printed it on a gray toned cardstock and I love it! I am touched by your personal and open hearted posts. I admire your courage to speak from your heart, expressing what I would love to, but don't. I think that's what I see and love so much in your artistic expression…it's friendly and happy and brave, and of course soooo cool! How awesome of you to ask for input, you impress me so. I do have problems with the tangle "Stubs" on page 37 in Totally Tangled… I can't get the final result no matter how I try. I particularly love these tangles …CUdad, Boing, Gust, Hairy, Muzic, Jay, and I love page 22…those borders really delight me. What I've been doing is tangling around my favorite rubber-stamp images that I've collected over the years. I think MD's should put your books on their prescription scrips instead of pharmaceuticals to treat depression, anxiety, general cranky and crabbiness. It sure takes me off the ledge. For a lark, I've included my sisters tangle pattern that she made. [Editor's Note: this section of the letter and the amazing tangle were deleted because I intend to use it in the book!] ... I thought you might like to use it. I love faces myself, which is why I adore Lilah Beans! So cool! 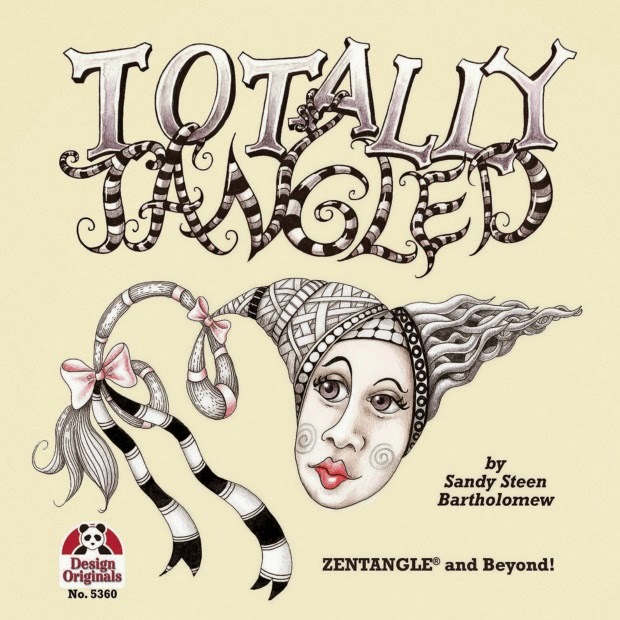 So thank you Sandy…and keep those awesome tangles coming... we beezinkstudio fans love you! Could I post it on my blog with your letter? 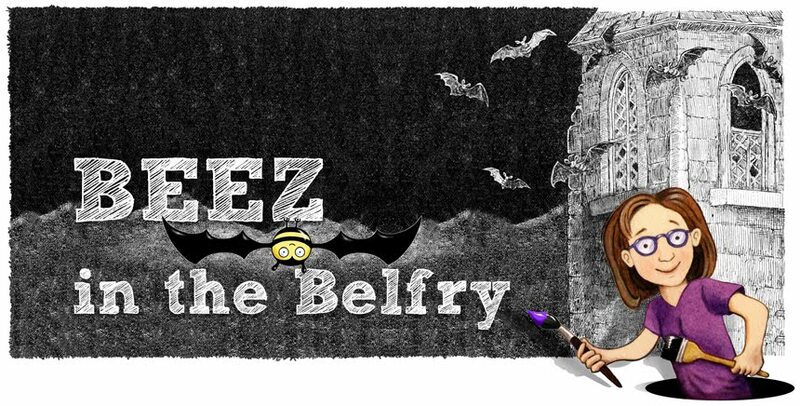 ... My readers really like to see this kind of work - and this one is a hoot! ... After I revise TT and YFYB, I plan to start working on a book that keeps getting put on the backburner. This one is intended to be used in doctors offices and during chemo or anywhere else that an interactive Zentangle book might be of use. I promised Shelley - who is in Totally Tangled, that I would do a book like that. And it's been a couple of years since she passed away. WoooHooo! That's the best news I've had since… well... i can't remember when! Thank you sooo much Sandy, you really made us smile. I'm totally honored that you would share my tile… what a lovely and surprising affirmation, and it was an afterthought to send it! ... The rubber-stamp used in the tile was from a company called "Remarkable". I googled it and sadly it is out of business and unreachable. A shame because she had some really adorable images. I'm so sorry about Shelley. I love the idea of a tangle book in doctors' offices and waiting rooms. Our apartment building suffered major damage from hurricane Sandy. We were displaced for 3 months until the building was fit to live in again. During the storm, when the bad news kept coming and during the days that followed, it was tangling that kept me grounded and peaceful. Zen-tangling is truly divine. You know how when you've got a special book that you love so much that you find yourself buying copies of it for friends and family? Well Totally Tangled is that book for me. There is such a sense of joy in that book. Its been awhile since I loved a book in that way… as a matter of fact the last one was The Holy Man by Susan Trott. If you haven't read it yet, check it out, its lots of fun, I can tell from your work and blog that you would love it. And thanks again, Sandy…. and best wishes to your sister as well! I apologize to anyone who tried to order the second print and had problems! It seems that Zazzle won't allow me to use that image because it violates Pearl Bailey's copyright. I hadn't realized that extended to quotes. But it might be that because I attributed it - I don't have the right to actually use her name. I'm not really sure. But, I meant no disrespect and I certainly did not intend to rip-off her intellectual property, so I will go and remove it immediately. I'm going to leave the first image up though. I am seriously hoping that the estate of Thoreau is not also upset with me! But, if so - I will also remove that one. Guess you learn something new everyday!? Click your mouse if you believe in Imagination! 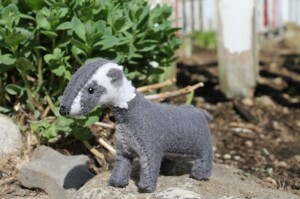 A little badger named Wojer needs our help! He's the star of a new book, the first in a series, by my friend and favorite author, Jen Carson. 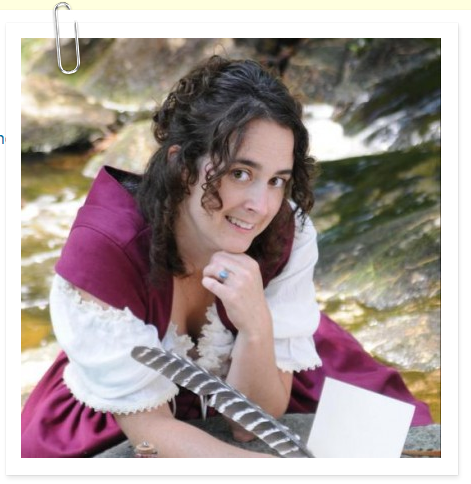 Yes, You have seen her name in this blog many times for book signing parties. But this book, and this badger, may not see the light of day - or a bookshelf - without your help. The printing and publishing of this book is being funded by a Kickstarter campaign that ends in FOUR days!! Kickstarter is a fabulous crowd-sourced funding site, but the way it works is that you must have raised the entire amount you set as your goal, by the deadline, or you don't get any of the money. Complicated? A bit. So Wojer needs to raise $3500 in the next few days... or he stays in the imaginary world. Any amount can be pledged, but your money is not a donation, you actually get copies of the books, stuffed characters and other goodies in exchange. And at the higher levels, you get to name a street on the village map! That's cool. Settled between two lush, green valleys is the village of Fox Hollow. But this ideal Regency Era American village is not your typical pre-Victorian town. Each resident of Fox Hollow brings forth the charm and innocence of small town living, reflects their passion to pursue their dreams and adds a touch of magic to ordinary life. The World of Fox Hollow is based on strong family and community ties and dares to go beyond the “knick-knack” with strong world building behind each character and product. Collectors, parents, children and the young at heart looking for something more timeless than the trendy franchise characters will be drawn to the imaginary world of Fox Hollow and the stories about it’s inhabitants. The characters of Fox Hollow are all North American mammals with big hearts and even bigger dreams. For me it is all about the characters and the pictures! Jen develops the characters - and even creates stuffies and patterns for each, writes the stories, and Pat Ann Lewis creates the beautiful illustrations. 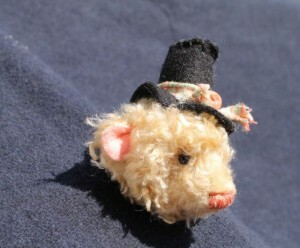 If you like to sew, Jen has posted the patterns and instructions for two of her creatures from the book, online. 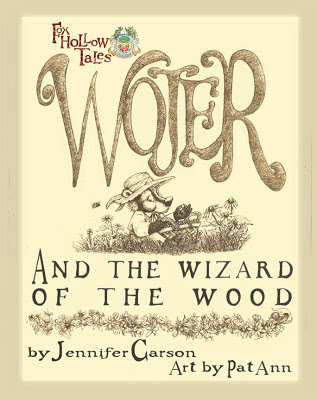 You can download Wojer the Badger and Mr. Bear for free. If you'd like to know more about Jen, her other books and stuffed creatures, take a look at her website: The Dragon Charmer. She's on Facebook too. 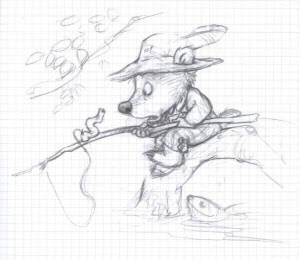 If you'd like to see more sketches from the Fox Hollow series and find out about Wojer the Badger, head on over to the Kickstarter project page and watch the video. 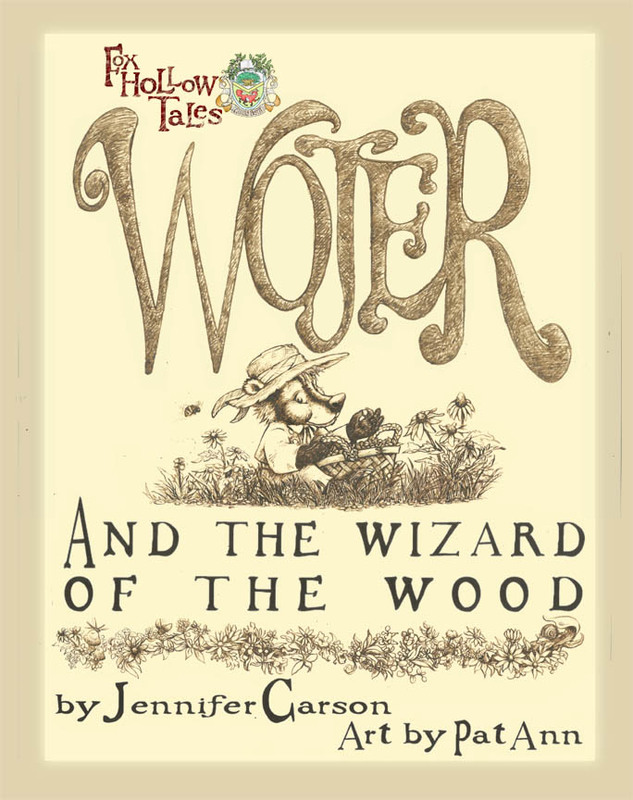 And please spread this news around - maybe we can help Jen get enough pledges in the next few days to bring Wojer to life!